10.24.08 With each passing round the World Championship Match is moving inexorably toward its conclusion. In order for Kramnik to send the match to tiebreaks he would have to hold Anand to only one draw over the next four games. 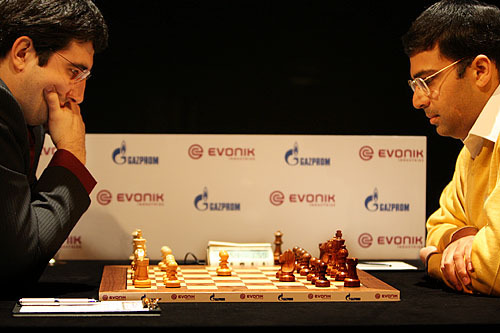 After round 8 it's Anand 5.5 Kramnik 2.5. 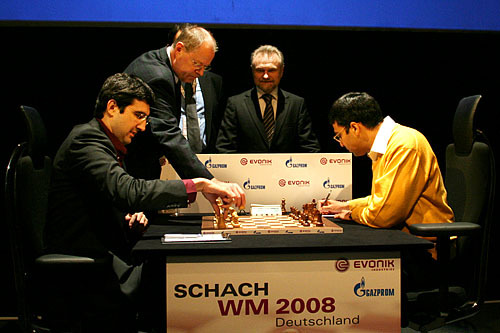 Round 8 underway with the first move being made by German Finance Minister Peer Steinbrück.